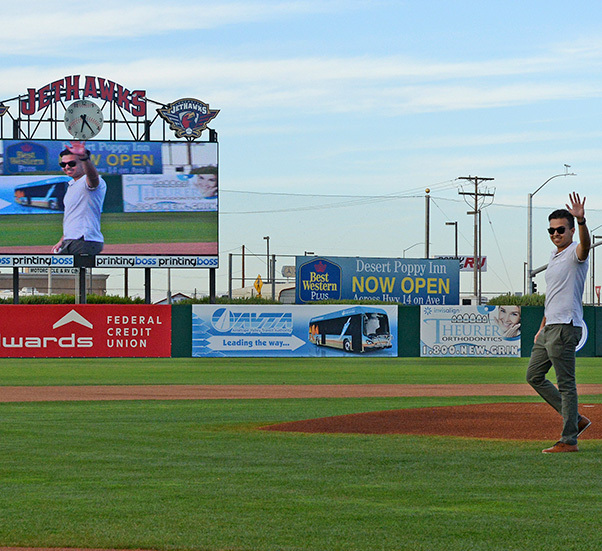 Airman 1st Class Ikraam Khondaker, 412th Communications Squadron, throws out a ceremonial first pitch before the Lancaster JetHawks game Aug. 30. 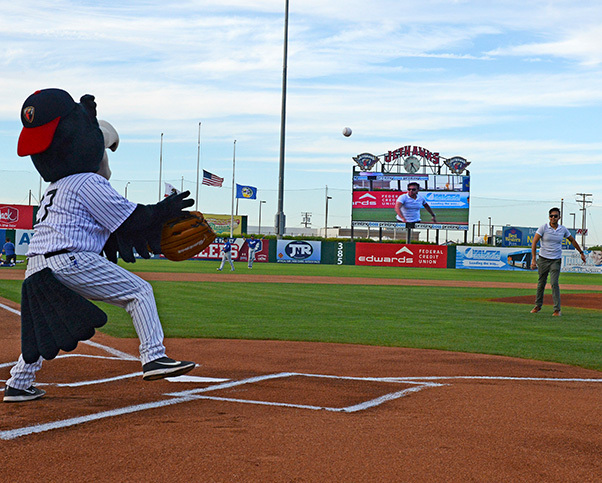 Khondaker delivered a strike to JetHawks mascot Kaboom, who was the catcher for the throw. 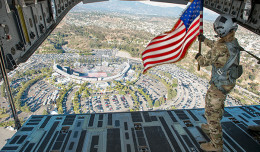 The Edwards Airman was invited to the ballpark as part of an Edwards AFB and fan appreciation night. 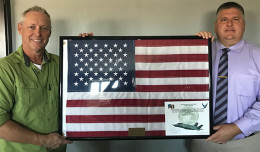 Khondaker was chosen for being an outstanding Airman and for being the youngest Air Force member assigned to Edwards AFB. He is also a Lancaster, Calif., native. The Lancaster JetHawks are a Class A Advanced minor league team for Major League Baseball’s Colorado Rockies. The game was the final regular season game for the team.